At last, an anise swallowtail. Some time ago I mentioned what I think of as my “Unicorn Species,” insects I know, have seen, are impressive in some way, but of which I have yet to get a good photo. 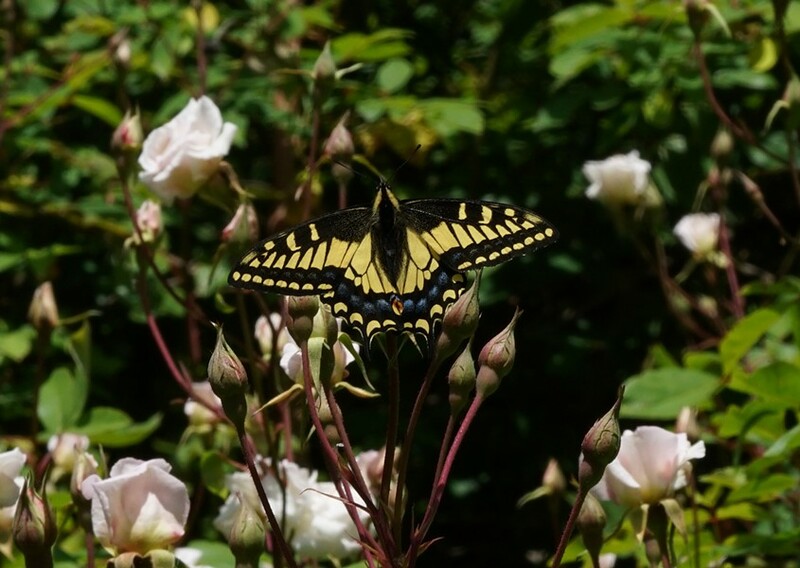 Just a few days ago, with my brand new camera in hand, an anise swallowtail (Papilio zelicaon) landed on an old Cecil Bruner rose in my yard. I've watched this before and while they're attracted to rose flowers, insects seldom hang around long on them. I suspect they produce very little nectar. I got three quick shots and it was gone. These are a bit smaller than the more common western tiger swallowtail, and have one solid bar of black across their wing instead of stripes. The ocean spray bush, soon to be in bloom, is a popular insect hangout. There are fairies in the woods now, too. 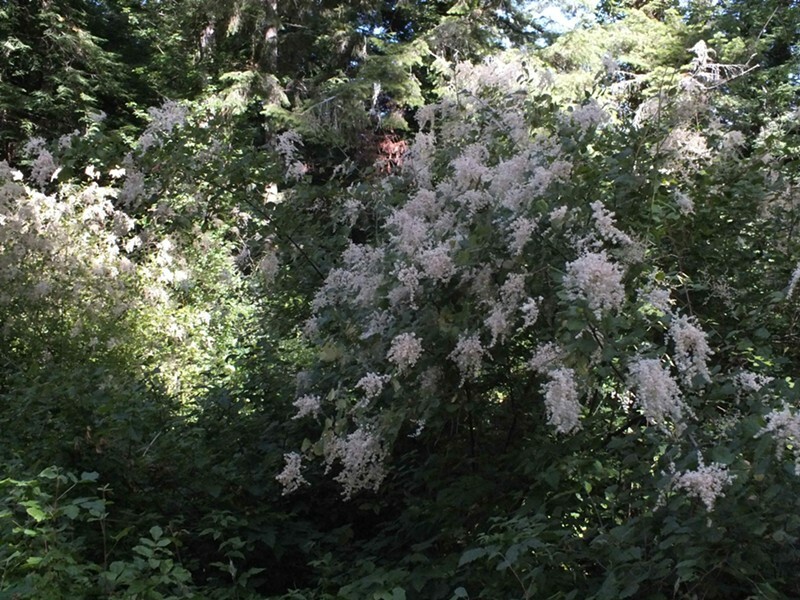 If you find yourself near an ocean spray bush (Holodiscus discolor), look up. Near the top of the bush, if you're lucky, you might see tiny black and white moths hovering and milling about. 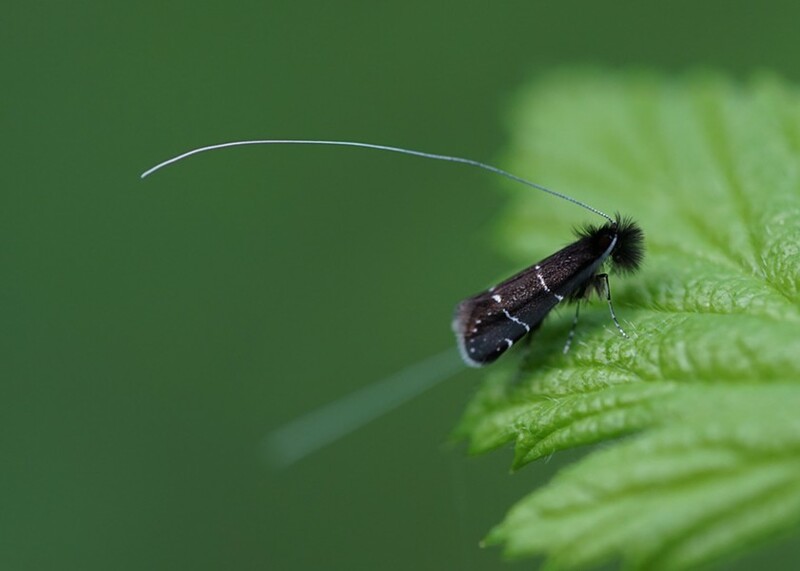 The day flying fairy moth (Adela septentrionella) is remarkable in that their antennae length exceeds their wingspan several times, especially among the males. A teensy fairy moth with its elegant antennae. 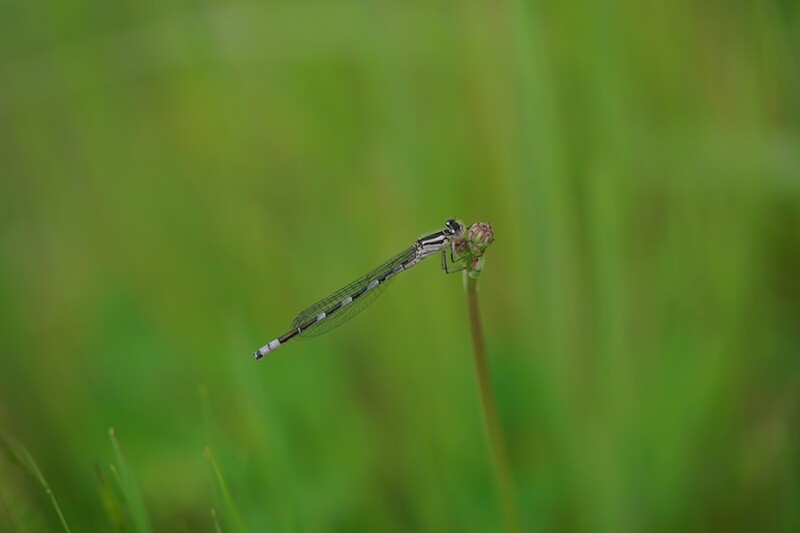 To round out the catalog of currently flying insects hereabouts, down near the ground, perched on a lone stalk of grass or a dandelion head, a tule bluet (Enallagma carunculatum), a tiny damselfly, may put in an appearance. The tule bluet damselfly perches on a dandelion stem.